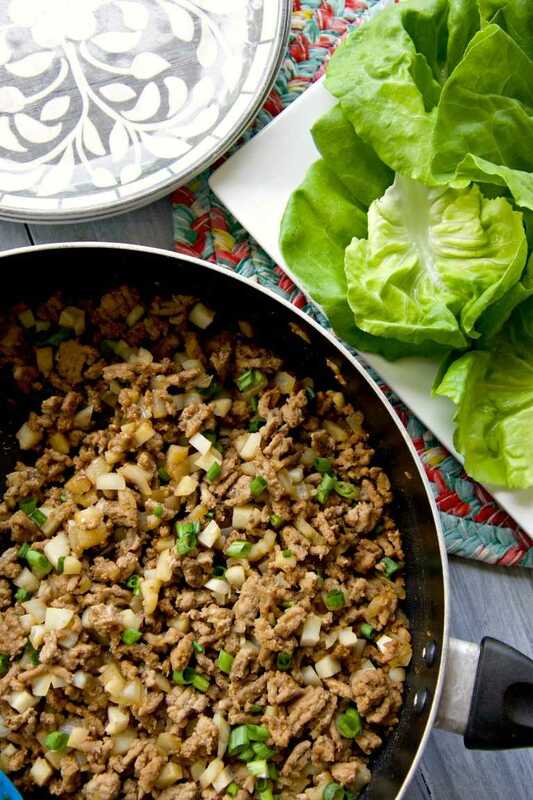 Delicious Asian inspired ground turkey lettuce wraps. These are healthy, low carb and so yummy! 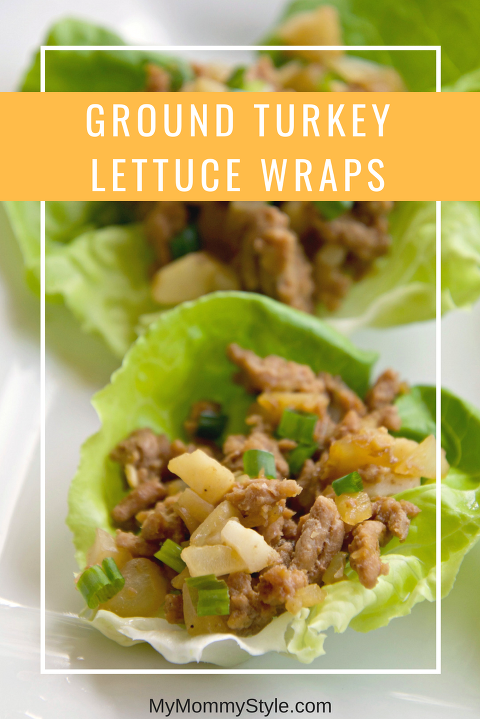 These ground turkey lettuce wraps are the complete package. First of all, they are so easy to make. They also don’t take very long to prepare, maybe 20 minutes, start to finish. They taste amazing. AND they are low carb, low calorie and healthy! This family favorite meal has it all! If you’re looking for more recipes with ground turkey check out these healthy ground turkey meal prep bowls. I love the extra crunch from the water chestnuts and the green onion give it a little extra color. You can serve these on butter lettuce or romaine, if you prefer. If you’re looking for a vegetarian alternative to these lettuce wraps try these quinoa and edamame lettuce wraps. 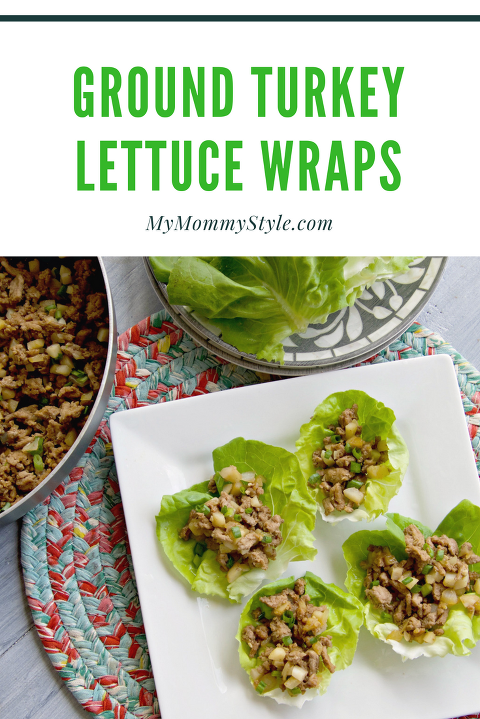 Low carb and healthy asian inspired lettuce wraps. Heat olive oil in a skillet over medium high heat. Add ground turkey, season with a sprinkle of salt and pepper, and cook until browned, about 3-5 minutes. Stir in garlic and onion, cook for 1-2 minutes until onions have become translucent. Add hoisin sauce, soy sauce, rice wine vinegar, ginger and cook an additional minute. Stir in water chestnuts and green onions until tender, about 1-2 minutes Season with salt and pepper, to taste. To serve, spoon the chicken mixture into the center of a lettuce leaf.